Established in 2012, Auckland Country Cottages in Clevedon offers accommodation in private, secluded cottages with outstanding views of the Manukau Harbour, through Auckland and Rangitoto to the Waitemata harbour and Coromandel Peninsular. Arrive via your private bush clad drive way, to the tranquil and secluded setting, where you can relax in total privacy at the same time as being close to all that Clevedon has to offer. This listing is for our Fantail Cottage with a luxurious queen size bed. We also have another cottage available (Tui Cottage) which can accommodate more people. See our other listing. Your local host Carolyn comes from an expert tourism background and is only too happy to look after your every requirement including tour arrangements, local area knowledge or total privacy. Other facilities: Ensuite Shower/toilet, hair dryer, heater. Smoking ok outside. Members of NZKC and their dogs are catered for. Decks not suitable for small children. Some linen may include feather/down. Please advise the hosts prior to arrival of any allergies that may require alternative linen. Beautiful view, all the amenities and great location. Could not ask for more !!!! Great stay. Wonderful views over countryside towards Auckland. Wonderful views over countryside towards Auckland. Very peaceful and private. lovely muesli and supplies for breakfast. We paid a high price for our studio as a big event was held nearby. Beautiful location and cottage, we will certainly be back. Beautiful scenery, just out of town away from all the noise. Beautiful scenery, just out of town away from all the noise. Very well equipped modern unit with every thing you need. My partner and I stayed for two nights. We had a great breakfast which was supplied by Carol. Will definitely stay again when travelling to Auckland. Great location close to Papakura, in the country with beautiful views. 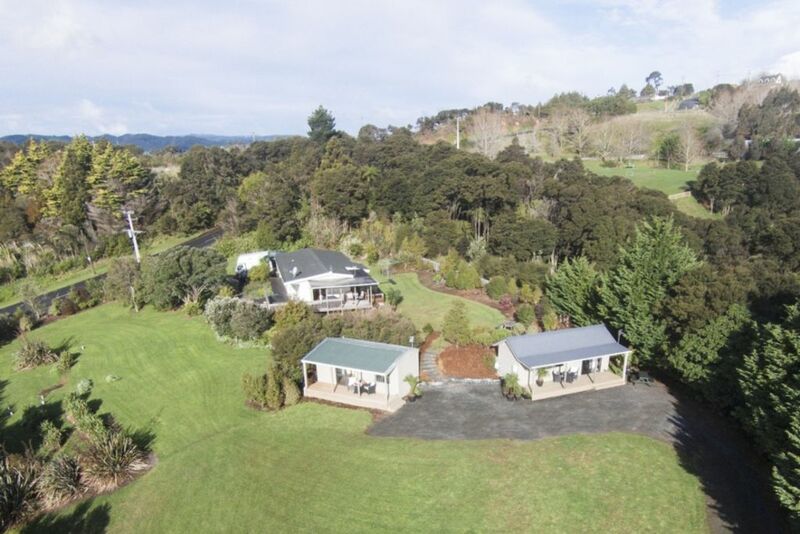 Great location close to Papakura, in the country with beautiful views. It's very clean & modern. We especially enjoyed the spa pool. And we will definitely stay again & have recommended it to friends. Great location, close to the assembly hall in Papakura. Great location, close to the assembly hall in Papakura. Beautiful views. Comfortable to stay in. Absolutely loved the spa pool. Highly recommended for a quiet holiday close to Auckland but not in the airport flight path. It's very quiet. Loved listening to the birds, fantails & tui's. It would be great if it had a portable electric hotplate for cooking/frying on. But otherwise, there is a BBQ provided & a microwave. We are really looking forward to our next stay in July.